ITRC has worked with law enforcement agencies (LEAs) for over a decade. We recognize that in dealing with identity theft, many LEAs are limited by budget, staffing, and case priority. Also, in many jurisdictions, advanced training in identity theft investigation may not be possible, or may be limited to a few officers or investigators. ITRC Fact Sheet 301 includes information we believe you will find helpful, both in your work, and in communicating with victims. There are many other ITRC Fact Sheets and Solutions that, while written to be of service to victims, may also help you understand more about particular types of identity crimes, and give insight into both the situation of the victim, and possible enforcement venues/methods. ITRC understands that due to the nature of this crime, some cases may go uninvestigated or unsolved. Unfortunately, victims do not realize what is necessary to bring an offender to justice. Most identity theft crimes are multi-jurisdictional, time consuming, and difficult to solve. Effective communication between law enforcement and the victim is often the key to a cooperative victim who helps the case go forward. ITRC works with the victim to provide concise, correct reporting to the LEA concerned, to get their vital police report (required by FCRA for legal standing with creditors), and then turn positively toward mitigation of their victimization. We offer ITRC Fact Sheet FS 112 to help guide them through this process. We ask that they leave investigative decisions to law enforcement, and focus on regaining their good name and standing. 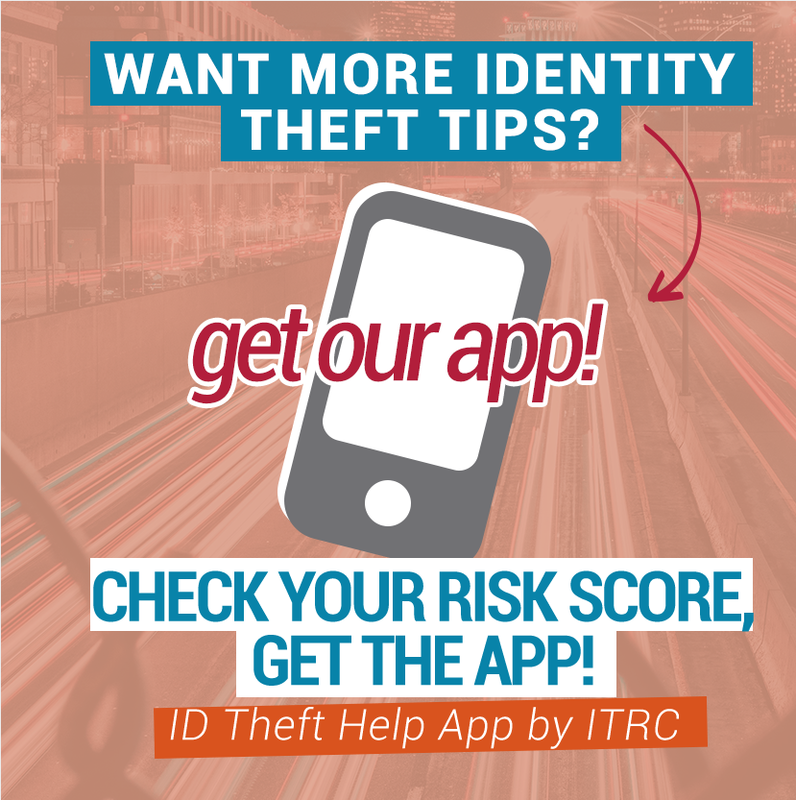 Law enforcement at all levels has the permission of the ITRC to reproduce any ITRC Fact Sheets or Solutions on the ITRC Website, for either victim or consumer use within your jurisdiction. We do suggest, however, that you not mass produce copies, due to frequent updating of information. We would also ask that you notify us if you plan to use our materials. If we can be of service to you in any way – with training, presentation materials, information, and especially, victim support – do not hesitate to contact us either by phone 888.400.5530 or by sending an email to ITRC@idtheftcenter.org. We look forward to continuing our positive collaboration with members of the law enforcement community. and privacy and helpful information on how to protect your information.